Best Gluten Free Pizza Dough recipe- This is just Perfect! 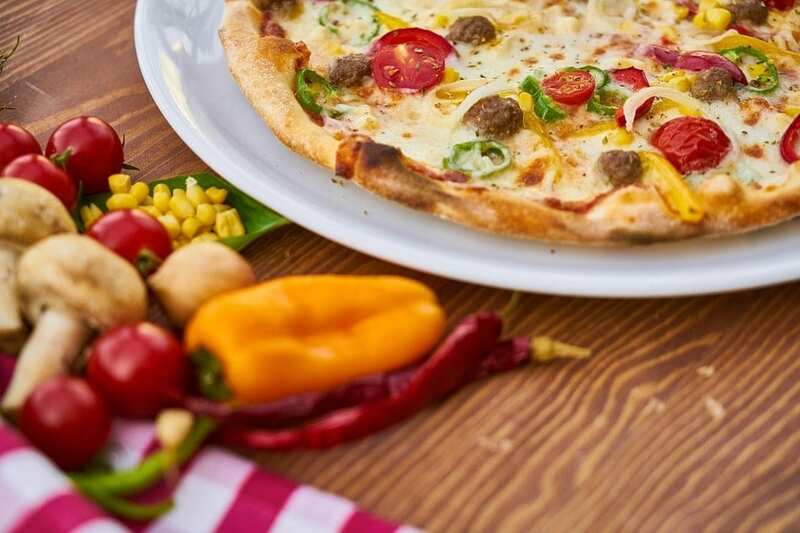 Recently, I was researching about Gluten Free Pizza recipes and I came across a ton of them but most of them looked different from the normal flour dough and I wanted the best Gluten Free Pizza Dough recipe that would be as good as a normal pizza. After a lot of research and trying, I did try out a recipe(will link the video below) and I’m happy to report that it worked out really well. There are many gluten-free pizza dough recipes out there but they are just not perfect and definitely, do not feel or taste like normal dough pizza. The gluten in the normal pizza dough helps in giving it that fluff when it combines with yeast. So you end up with a pizza that has a chewy and a fluffy and soft base, which is due to the air retention capacity of the normal dough. While making a gluten-free pizza dough, we need to mimic the same air retention property of the normal dough and hence we would be adding ingredients that would help you get the exact same texture that you would get with a normal all purpose flour. If you really love pizza and want it to taste perfectly the same as the normal dough pizza then this recipe is something that you should try. This recipe is going to take you some time to make and but it is definitely worth it. This is a bit longer than the usual pizza dough making process but it is not going to take you forever, so be patient and try out this recipe. 1. First, you need to add all the dry ingredients and since most of the ingredients in the recipe are dry apart from water, you are just going to mix everything in a bowl. 2. Next, you are going to add some water and get the mixture to a batter-like consistency and once you are fone with that, you would take a tray and spread the batter in the shape of a pizza dough and toss it in the oven for 45 minutes. 3. We kept the heat LOW in the oven so that the water could dry off. However, after a lot of experimentation, we found that keeping it for 30 minutes does the trick as well. Basically, this recipe does involve a lot of trial and error but the end result was totally worth it. water. 4. The result would be a dough that would look like your normal pizza dough and the idea is not to cook the dough completely but to just dry off the excess put some toppings on the pizza and cheese. 5. Now, cook the pizza like you would cook any normal pizza. The result is going to be amazing as the crust would be crispy because of the almond flour and the baking powder and the psyllium husk is going to help in water retention making the dough moist enough to cook perfectly like the normal dough. Well, I got this recipe from the video below and if you want the science behind every ingredient then do go ahead and watch the video. Basically, they do not mention the quantities of each item that they have used, so we had our own trial and error method done to get the perfect recipe. Do try the recipe and let us know how it turned out in your case. Overall, we think the taste is very similar to the normal dough and if you are fed up of being Gluten intolerant and not able to enjoy anything then this recipe is dedicated to you. If some other measurement of the ingredients worked for you then do let me know in the comments below! If you like the post then share it on social media!